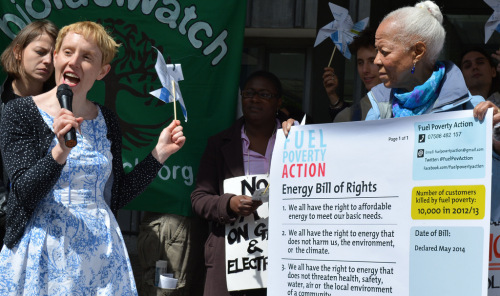 We have put together the Energy Bill of Rights to give people inspiration and confidence to stand up against the rip-off Big 6 energy companies who are leaving us to freeze and to join the movement for a clean, affordable and renewable energy system owned by us. 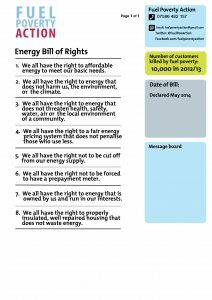 As millions of people worry about how they will heat their homes this winter, we hope that the Energy Bill of Rights, along with our energy rights mini-guide, will support people to take action together to demand their rights. (Some ideas of how we can do this include organising local creative actions, Keep Warm Cafes and speaking with your neighbour and sharing the energy rights guide with them.) We want to get as many individuals and organisations as possible, from your tenants and residents association, local one o’clock club, or pensioners group to the big NGOs, to sign up to the Bill to show the massive support there is to ditch our for-profit, fossil fuel based energy system for one that is owned by us, to meet our needs. 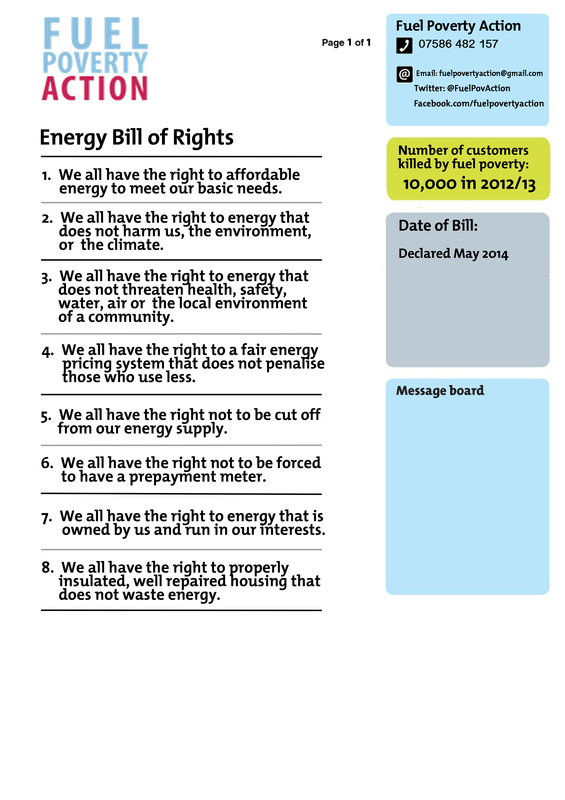 Contact us on [email protected] to sign up to the Energy Bill of Rights or if you have any questions. Join and share our facebook event here. Previous PostPrevious Shian housing – new boilers now, end fuel poverty!